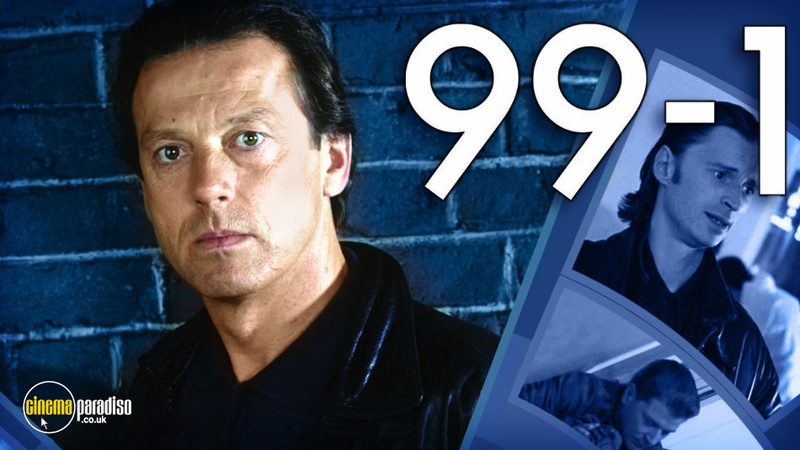 99-1 is a British crime drama about an undercover police officer and his attempts to wipe out organized crime through his position in their organization. The series follows Mick Raynor (Leslie Grantham), an undercover police officer posing as a bent ex-copper to infliltrate an organized crime syndicate and bring them down from within. Mick is perfect for the job because he enjoys the danger much more than the paperwork as he says the job is 99% boring and 1% terror. Leslie Grantham, Robert Stephens, Frances Tomelty, Gwyneth Strong, Robert Carlyle, Adie Allen, Niall Buggy, Glyn Grain, Malcolm Storry, Trevor Sellers, Andrew Tiernan, Oliver Parker, Philip Pickard, Nadia Sawalha, John Vine, Nick Hobbs, et al. All six episodes from the first series of the TV crime drama starring Leslie Grantham as a maverick cop forced to go deep undercover. Used to getting results by fair means or foul, ex-cop Mick Raynor finds himself blackmailed by Commander Oakwood into going undercover to infiltrate the criminal underworld. As he gathers information, Raynor must use every trick in the book to keep his cover intact and stay one step ahead of the gangsters. All eight episodes from the second series of the TV crime drama starring Leslie Grantham as a maverick cop forced to go deep undercover. Used to getting results by fair means or foul, ex-cop Mick Raynor (Grantham) goes undercover to infiltrate the criminal underworld. As he gathers information, Raynor must use every trick in the book to keep his cover intact and stay one step ahead of the gangsters.